Business Solution Partners Are Blackline Integration Specialists Focused on NetSuite and MS Dynamics. Blackline - a modern approach to Finance & Accounting operations. 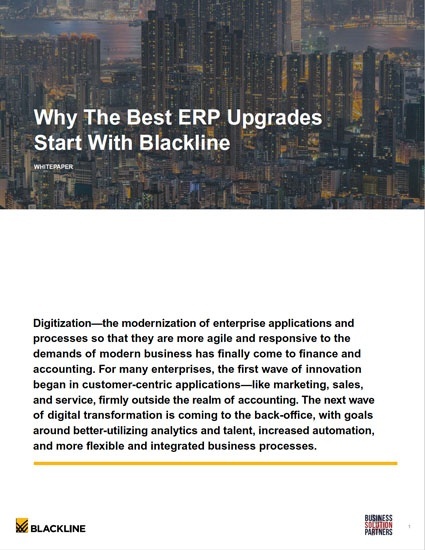 Through a deft combination of automation and process innovation, your company can adopt the Continuous Accounting methodology and succeed with Business Solution Partners & Blackline. Business Solution Partners is a Blackline Gold Certified Parter focused on Implementation, Consulting, and Training. We're the NetSuite and Microsoft Dynamics ERP Implementation Specialists that Blackline customers rely on. We offer a personalized approach to all our Blackline engagements, earning trusted advisor status and delivering the long-term commitment you’re looking for in a partner. The BlackLine Reconciliation Management solution standardizes, automates, and streamlines all types of reconciliations including balance sheet, bank, credit card, and other operational reconciliations, as well as reconciliations between systems, regulatory standards, and other areas. The BlackLine Financial Close Management solution empowers users to gain full control over the financial close process by streamlining accounting workflows, and producing financial and regulatory reporting in a timely manner, while ensuring accuracy and compliance audit-ability. 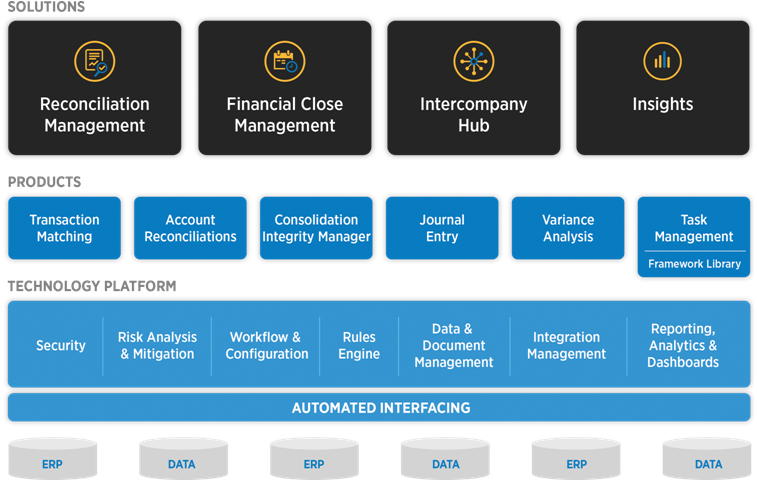 BlackLine's Intercompany Hub is a clearinghouse for transactions that eliminates manual reconciliations and settlements. The Hub centrally interfaces with all of a company’s core Business Systems, collecting and distributing intercompany transactional data on a centralized basis. Blackline's Controls Assurance solution empowers accounting teams to meet the challenges they face documenting and overseeing the testing of internal control environments. Get a streamlined view of your transactional rules and gain confidence in your automation processes with Blackline. Business Solution Partners are champions of Continuous Accounting, and we promote the gospel of this important approach to finance that is fueling modern business growth. The Continuous Accounting methodology embeds automation, control and period-end tasks within day-to-day activities. This makes the rigid accounting calendar more flexible to more closely resemble the activities of your broader business. Transform your business with real-time processing, empowered employees and deep analytics. The result is a more efficient close, more accurate financials and a more effective organization. Import journal and/or journal lines from report writers or spreadsheets. Why Should You Choose Blackline For Reconciliations and Close Management Corporate Accounting Needs? Manual processes associated with Closing the Books, performing Reconciliations and Tracking Account Variances are often labor intensive and prone to inaccuracies. Blackline's cloud-based financial close management suite automates these processes, enabling companies to adopt Continuous Accounting. Our Blackline Resource Gallery hosts a wealth of information about the #1 CPM Platform. Click on a cover to download these insightful documents. Your Business Solution Partners Account Executive will contact you soon to discuss the exciting benefits of using Blackline's Cloud-Based Financial Close Management Suite.